Today I’m thankful for coffee, espresso, and iced lattes. And yes, I had all three of those in one day. I don’t have a problem with caffeine. I have a problem without caffeine. I’m so thankful for the arrival of one of my very best friends arriving in Sydney tomorrow, Monday. For two glorious weeks, she and another best friend and I will get into all the havoc we did in uni/college all over again. I’m so excited to share these moments with these two incredible women. I’m also thankful for these incredible muffins (mine are strawberry with dark chocolate chips!) and the recipes I’ve gleaned from this lovely baking wiz. I would love to own her cook book. Tonight I’m reminded how thankful I am for my kitchen. I’m not a stress eater, but I am a stress cooker, if that exists. I wasn’t stressed tonight, but I did make some awesome burritos for our dinner. I love cooking and baking. And I love feeding and taking care of my loved ones. Last year was my first Thanksgiving away from my immediate family. In the past, no matter where in the US, I lived, I always made it back to Boston for Thanksgiving. Last year, for the first time, I hosted the holiday myself for friends here. It was beautiful, and sad, and I’m glad I did it. We’ve created a tradition of our own. I took today off from work to visit with one of my very favourite people while she’s in town. Despite her jet lag and feeling a tad under the weather, nothing’s changed between us and I’m so thankful to have her here. I’m thrilled to have her here sick or healthy; it doesn’t matter to me. I just appreciate the time. Mountains, man. They’re pretty sweet. No, in all honesty, I do love the mountains. There’s a calmness that comes with living near them. 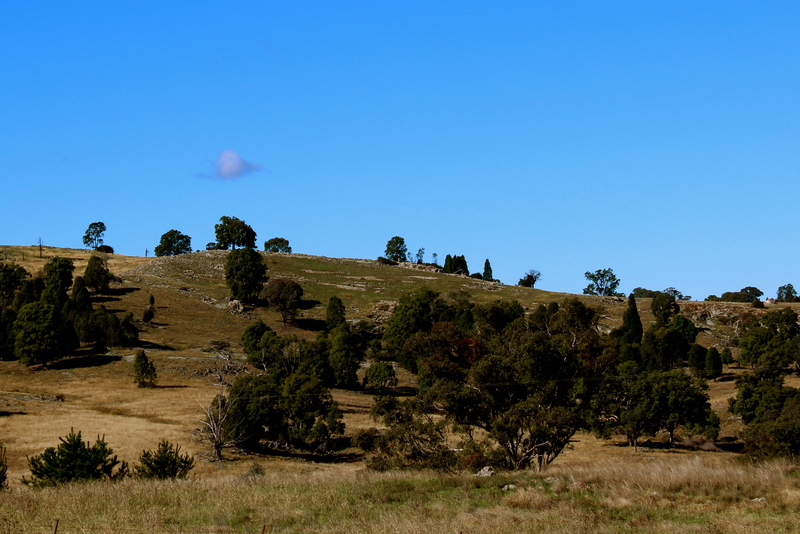 These few photos (more to come), were taken in a recent trip up and past the Blue Mountains. You can see them in the distance. This dirt road leads to the guest house where my extended family and I stayed for a long weekend. Our first trip down this dirt road was nearly at midnight. We’d been warned to keep our pace slow and caution–wildlife, kangaroos, cows, hares and more had been seen traversing throughout the evening. While the concept thrilled me, my other half just laughed at my excitement. The drive was anti-climactic however. NOT A DAMN THING. And I love kangaroos. You can imagine my disappointment. Upon arrival, I (sort of jokingly) tell the group that I swear there must only be a dozen or so roos in the entire freaking country and I bet some bloke in a van just drives them around, dropping them off here and there, then picking them up again. For some reason, they found this (and me) hysterical. We ended up seeing plenty of critters the next day… Not more than 12 though. It was a beautiful trip. And wine filled. Not much beats family, friends, vineyards and birthday parties! We had a staff development day at work this week. Half insightful, half shocking. No exaggerations. The insightful bit was focused on interaction, team skills, and personal styles. We were divided into four generic personality types. I suppose you could label it a simpler Myers Briggs. I was labeled appropriately for the most part. As negative as that sounds, the traits I was defined with were far more positive than those of the stark opposite personality type. That group was joking labeled the “assholes” while mine received far kinder words, like “empathetic” and “relationship and listening focused”. That was alright. And completely factual on my part. I was also labeled “on the fence”. A bit wishy-washy, right? I do tend to be take my time in making decisions, but I assure you I do dumb things quickly just as often as I do them slowly. Spontaneity has its place. 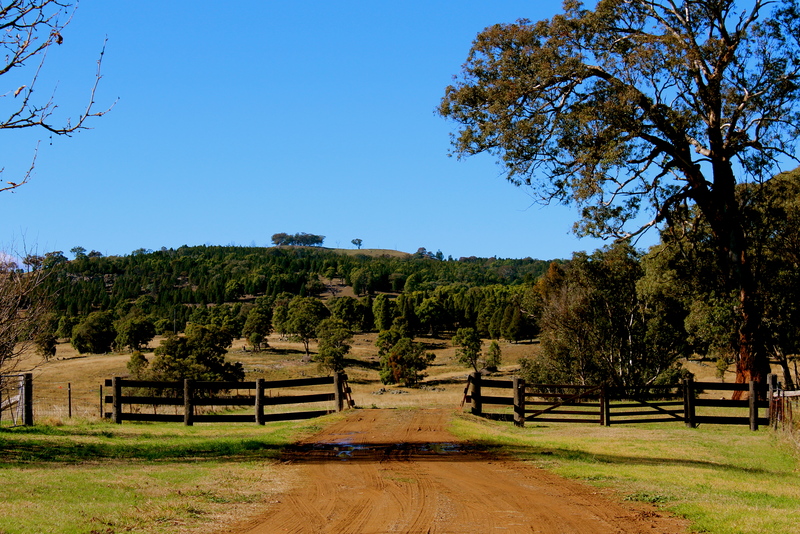 I found some spontaneity, in fact, when I found this fence last weekend during a family holiday in Mudgee. Striking, isn’t it? First person that walks by, marry him/her or pass? Second person that walks by, marry him/her or pass? Pass on one and two, you simply must marry the third. One, two, three, you’re married. And when this guy walks by, I’d recommend “passing”. We visited this lovely temple on New Year’s Day with some of our closest friends. It’s meant to be a path toward gratitude. It was a lovely walk ending with the ringing of one of the largest bells you’ve ever seen. On another note, we started a new tradition this year. During the last few months, we wrote a few happy notes down each week. Basically, when something wonderful happened, or even something ordinary and kind, we would write down that memory and place it in a jar on our mantel. Then on New Year’s Eve, we unfolded each note and took turns reading them aloud and reflecting on the past year: where we’ve been, how far we’ve come and the happiness we’ve shared. Those same notes are now in an envelope, marked with the year, on our book shelf as a token to the past and future. This too has been a path to gratitude.